Atomic model research and teaching sets are specially assembled for students, small laboratories and large laboratories. See Specifications for models and components included in each set. 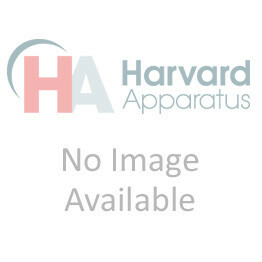 Harvard Apparatus offers a complete line of CPK atomic model research and teaching sets for students, small laboratories and large laboratories. Each set is supplied in a sturdy, partitioned, wooden box. Other sets are available. Please call for details. For students. Contains sufficient atoms and connectors to build 67-8205 ATP, a twelve-residue alpha-helix back-bone or the base pairs of the nucleic acids, but not simultaneously. For the smaller laboratory. This Set builds 36 peptide backbone segments in helix forms, three base-pair residues of nucleic acid in double helix form, 67-8205 ATP, steroids, etc. For the larger laboratory or department where a number of structures, once built, are likely to be left permanently assembled. Constructs 60 peptide backbone segments in helix form. Includes the atoms to build small-ring compounds such as 67-0400 Cyclobutane, cyclobutanone, ketenedimer, and derivatives in addition to ß-lactams. Also constructs molecules containing functional groups as in alcohols, ketones, aldehydes, esters and amines including their unsaturated derivatives. Useful for demonstrating compounds which undergo photochemical or electron-induced polymerizations as in the acrylates, methacrylates, and other 67-0426 Ethene (vinyl) derivatives. Includes the atoms in 67-6056 CPK Models Research and Teaching Set 4 above, but in greater quantity to permit construction of compounds of significant biological interest. For example, antibiotics based on small ring compounds such as those found in the penicillins and cephalosporins. There are sufficient compounds to build simultaneously two penicillin and two cephalosporin base structures so that the various side chain compounds such as penicillin B, F, K, and flavicidin can be assembled and compared. This Set also contains components to build 36 peptide backbone segments in helix forms, three base-pair residues of the nucleic acids in double helix form, 67-8205 ATP, steroids, prostaglandins, and many other important, naturally-occurring compounds.